This is much more than the average writing workshop. Join experienced media creator Dara Padwo-Audick for a unique weekend workshop of powerful writing techniques and experiential exercises that you can apply to both fiction and nonfiction scripts. You’ll learn the essentials of a solid story arc by analyzing fiction and nonfiction films to discover the elements that make them work. 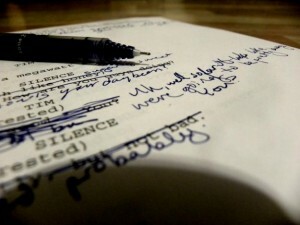 You’ll also uncover techniques for unlocking strong characters and plot points, crafting compelling dialogue, and getting the best from your interview subjects. Bring ideas for fiction and nonfiction scripts or come ready to explore how to find compelling stories. It’s a weekend packed with practical tools in the art and science of storytelling for visual media. Dara Padwo-Audick is a seasoned media professional with over 25 years of experience across a variety of genres in the media landscape. As President of Creative Strategies Media LLC, a media consulting company, and Enlightened Media LLC, a film production company, Dara’s genuine passion for telling impactful stories has taken her around the globe. As a veteran filmmaker, Dara has written, produced, and directed many programs and series for such networks as Animal Planet, CBS, Discovery Channel, Discovery HD Theater, Discovery Kids, ESPN, Fox, Home and Garden Television, Lifetime Television, Military Channel, National Geographic Channel, Outdoor Life Channel, PBS and Science Channel. As an educator, mentor, and dedicated life-long learner, Dara has embraced her work as adjunct professor at American University and is a devoted teacher to people of all ages in a variety of non-university classrooms.